There are times when I feel like crying even thinking about eating another piece of dry chicken especially during prep for a bikini bodybuilding show. You have to find ways to get creative and keep your taste buds energized and excited to eat. 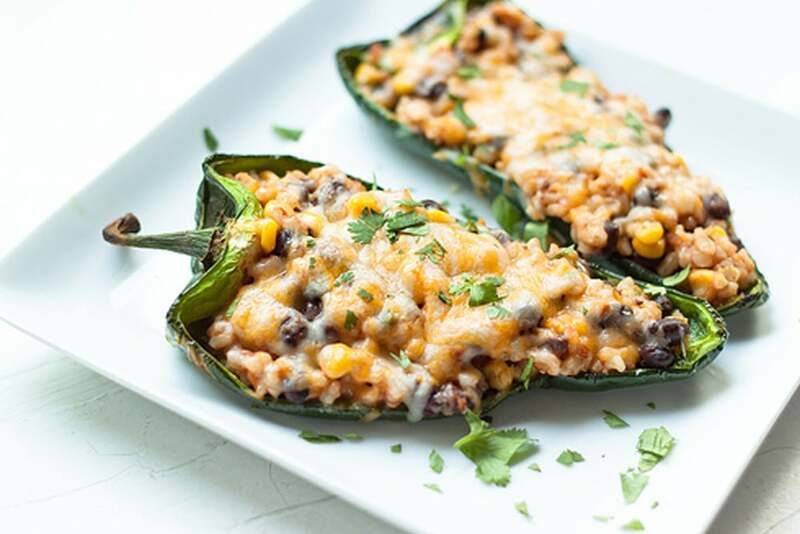 This roasted stuffed poblano pepper recipe is spicy, filling and delicious. 2. Turn on burners of your stove on medium and place one poblano pepper on each burner turning every couple of minutes until nicely charred and roasted. Put on a plate to cool. 3. Take your leftover chicken, chop up into small pieces and mix into a bowel with one avocado. 4. Cut up jalepeno peppers, onion, tomatoes into small pieces and combine in a bowel with black beans, chopped cilantro and your chicken and avocado. 5. Stuff each pepper and cook in the oven for 25 minutes. 6. Serves about 2. ENJOY !!!! !